Home Camping Tips Tent Vestibule (What Is A Tent Vestibule?) Find Out Now! 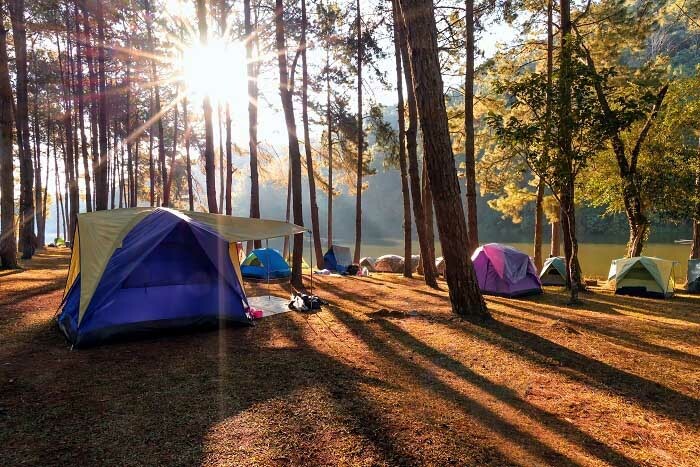 Camping or backpacking is generally done with tents and since we always try to reduce the weight and the number of things we carry along, the tent is one of the first things that we cut in terms of size. 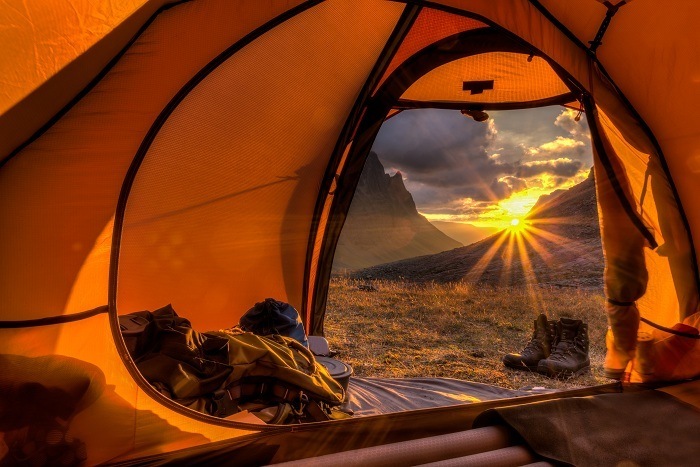 While this is a great idea when it comes to setting up camp, chances are you might run out of space for your gear or the entire tent will be cramped up. This is where the tent vestibule comes in and it serves a couple of purposes that could be beneficial on your next outing into nature. The tent vestibule can be seen as an add-on to the tent, it makes the tent bigger and still keep everything inside protected from the weather. The tent vestibule is also used as a mudroom, providing you space to change out of your muddy gear before entering the sleeping quarter of the tent. Since they are enclosed and offer protection from the elements, they also make perfect storage space for your additional gear. This offers some additional space on the inside of the tent, especially if you have a multi-person ten﻿t that is smaller to reduce the weight of your gear. Tent vestibule can be added on either the front or the sides of your tent. This means that you could use them before entering the tent, while the side vestibules are generally better for storing some of your gear and providing extra space on the inside of the tent for sleeping purposes. Here is a quick breakdown of the differences between the front and side tent vestibules. The front vestibule fits on the entrance of the tent and they are often times already built into the tent. However, they are also available for purchase separately if you need one. The purpose of the front vestibule is to serve somewhat like a porch and they are ideal for whenever you are expecting bad weather. The front vestibule is generally quite large, making them perfect for storing some of your gear in smaller tents or if the gear is quite bulky. One thing we have also seen is that these vestibules can be used for cooking as well and if you are careful in avoiding carbon monoxide buildup and poisoning yourself, they are ideal for cooking. We would also recommend being careful when cooking as you might set the tent ablaze. The side vestibule is the better option if you are camping in better conditions. It offers a wide entrance while branching out to the other side to keep the gear protected on the inside. In the one-person tent, these vestibules could offer additional storage room and you might be able to fit in two small people when backpacking with minimum weight. The side vestibules are not added on to the tents and you will need to purchase them separately. They also offer a porch-like effect that could be perfect for watching nature while the rain is belting down on you from the top. 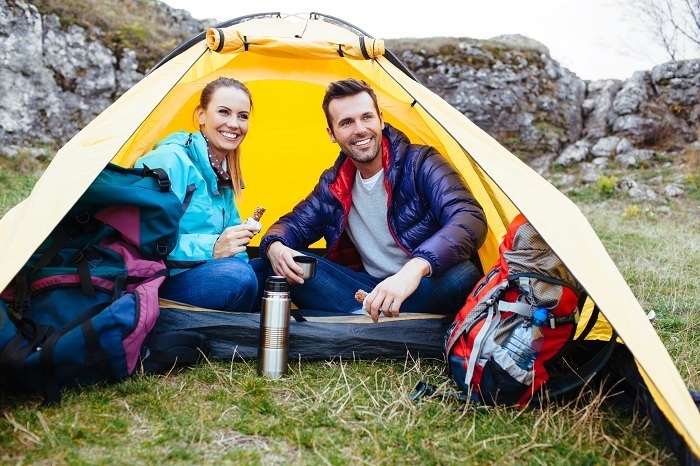 Bottom Line: One thing you should keep in mind when purchasing a tent vestibule is that you will need to have a tent footprint underneath or the weather might peer in from the bottom. These tent vestibules generally work best for storing gear or keeping you out of the wind when cooking or relaxing and enjoying nature. Is The Tent Vestibule Necessary? Adding a tent vestibule will all depend on your preference and the conditions of your camping situation. 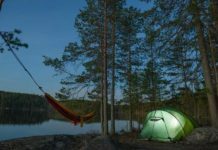 They are not necessary for every camping trip but do offer a benefit when used as an add-on if your tent does not have one built in already. They will offer good extra storage space and make your tent feel bigger in general. Unfortunately, they do add extra weight to your backpacking gear and you will need to consider this when backpacking prolonged distances. We generally check the conditions to decide whether or not it will make a real difference when adding this to the tent. One of the main benefits is the fact that these vestibules are quite light to carry and should not really make a massive difference in weight to your gear; they might only take up some additional space that could have been used for something else. 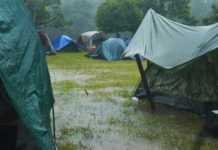 We would also like to mention that with a little bit of tweaking, the rain fly can also be used as a tent vestibule and since they are basically the same in terms of materials, it could save you a couple of bucks as well. Do You Like The Tent Vestibule? The tent vestibule is now something that you should understand and much like the tent footprint, it is not necessary, but certainly something, that could bring you some great benefits when used. Choosing the right vestibule to meet your needs is also important and you will need to look for quality as well to resist the weather conditions. 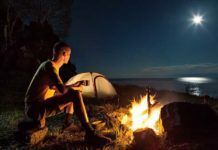 In general, we would only recommend these for camping in harsh weather conditions and not for 3-season camping or backpacking. Nevertheless, we would still like to hear your thoughts on whether these vestibules are worth it and in which conditions you would use them.